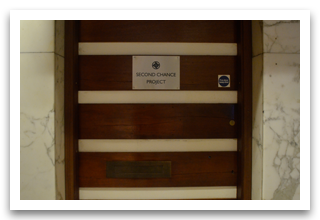 At the Second Chance Project we offer you a viable alternative to the other methods of support and recovery available. We work as a team and encourage every member of that team to make the necessary changes to move on to a substance free life. Phase 1 consists of 5 weeks. Week 1 is compromised of 3 one-to-one’s plus group work. the following 4 weeks will be 3 afternoons per week ie. Monday, Wednesday and Friday from 2 - 4pm and will be made up of 12 groups with a total of 6 hours per week. During this period the Service User if necessary, can be detoxed. The detox period can last for up to 4 weeks. This will be carried out by the Care Manager, Doctor or any other Health Professional who will be responsible for the Service User’s medical care. A Graduation Requirement to move into Phase 2 will be 7 days abstinence. Phase 1 will be working towards total abstinence. A review if required will be help with the Care Manager prior to moving into Phase 2. 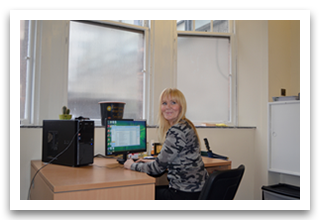 All Service Users will receive one key work session fortnightly and one-to-one sessions when required. Phase 2 consists of 21 weeks. 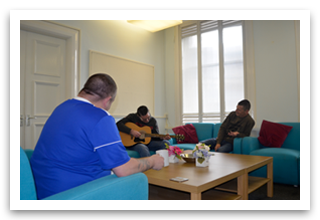 During this period the Service User will attend the project Monday to Friday for 15 hours per week, 10am-1pm. 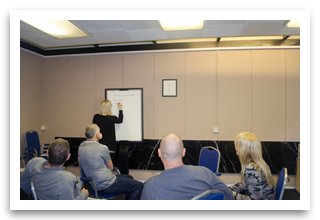 During this period the Service User will attend 60 to 70 various groups addressing their addiction issues and learning how to maintain their abstinence through the 12 Step Minnesota Model of Recovery as well as CBT methods. After 4 months on the programme the Service User will be helped to access Education, Volunteer Placements and Training Courses in preparation for future employment. Phase 3 After Care Group Work runs for approximately 6 months. 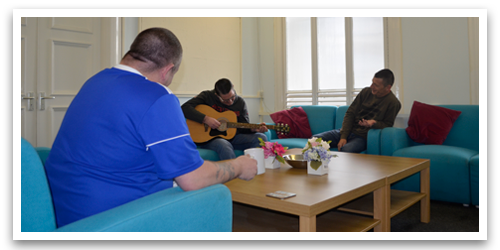 During this period the Service User can attend the project for 2 days a week for 3 hours. After Care Group Work will consist of Person Centered issues relevant to sustainable long term recovery. All Service Users will receive one-to-one sessions when required. We suggest you check out a few help self meetings in the meantime. This will help you in the short term. Below are some help line numbers which can give you more information.